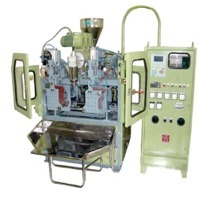 Browse plastic-processing-machineries suppliers by country and region. Rg30 roller crown grinding attachment for lathes Rg series: rubber roller convex / concave / cylindrical grinding attachments We also have convex / taper / cylindrical grinding attachment for you 3.0 hp (about 2.25 kw) / 10 inch grinding wheel Suitable for textile, papermaking, steel, wood, holographic label and many other industries No software needed, no unexpected high maintenance cost As an experienced grinding machinery manufacturer, we are fully aware of the great importance and influence of an accurate grinding outcome could be. Made in taiwan with german-made siemens main motor The reliability, high quality and durability our machines provide are key benefits. Please visit our web site at http://www.Precise-marketing.Com/roller-grinding-machines/ for details. Agent wanted! Price for reference only. Please contact us for quotation. Food products like mango pulp , tomato paste, papad, pickles, paste & chutney , air & gas compressors, machinery & machine tools, plastic & packaging machinery and sugar. WE HAVE ROBOTICS SYSTEM MACHINERY IN LOW COST -We are providing Heavy Tie Bars and Mould Plate -Our machine has Hydro pneumatic clamping system which avoid parting line and work with low vibration level. -Machine speed controlling at all operational stages of machine. -Robotics System.-Heater temp. increment accuracy with 1% -Easy positioning of heaters (Up-Down and Forward-Backward adjustable). -Our machine is design in such a way that optimum heating can be achievable with lower power consumption. -Sufficient time for thermal stability before it enters to blow mold. Dongguan Xiongying Precision Mold Co., Ltd.
Dongguan Xiongying precision Mold Co., Ltd is very professional in research, development, manufacturing and service of precision mold components. After several years' strugglement, Xiongying has become an OEM factory of many craft brothers all over the world. Xiongying has the ability to manufacture all kinds of precision non-standard components; these components are commonly used in precision punch mold, plastic mold, auto mold, medicine mold, computer linker mold and other factory automation components. Our products are mainly sold to China, Europe, America, East Asia and Southeast Asia. We are able to make and check customised products according to world-brand standard as well as GB, JIS, DIN and AISI international industrial standard. Products' precision: size tolerace within .001mm, axiality within 0.002mm, roundness within 0.0015mm, surface roughness within Ra0.025, straightness within 0.002.